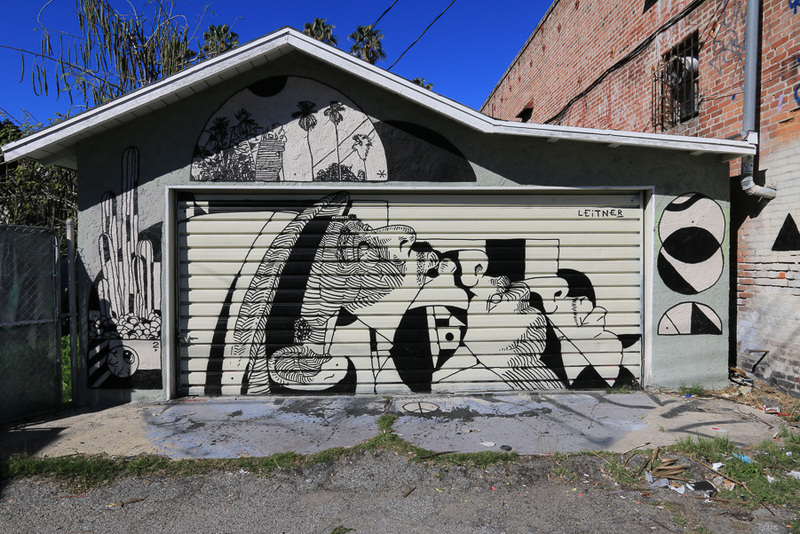 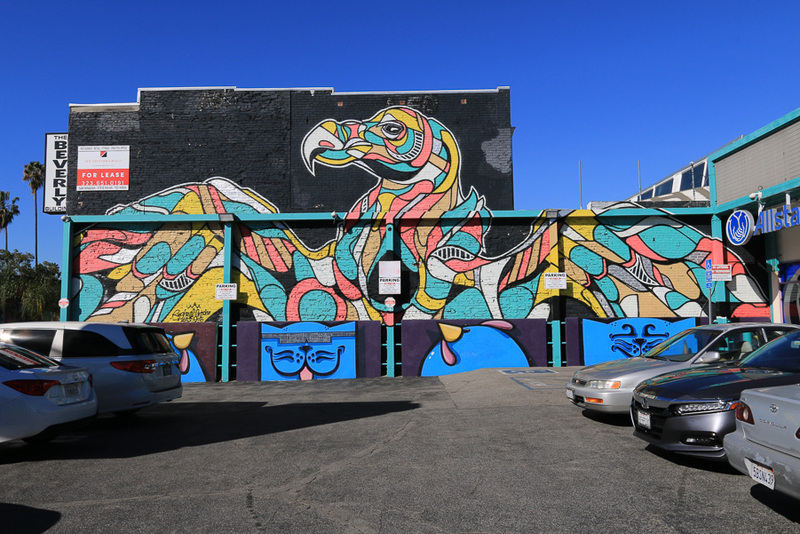 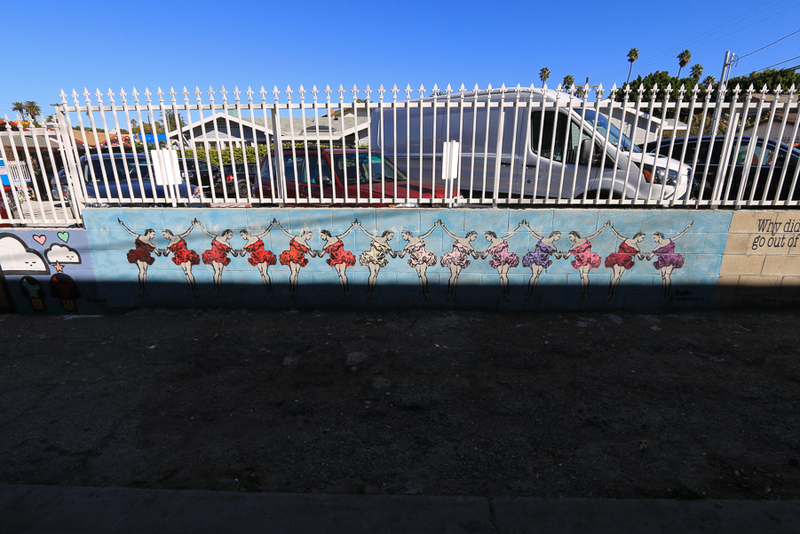 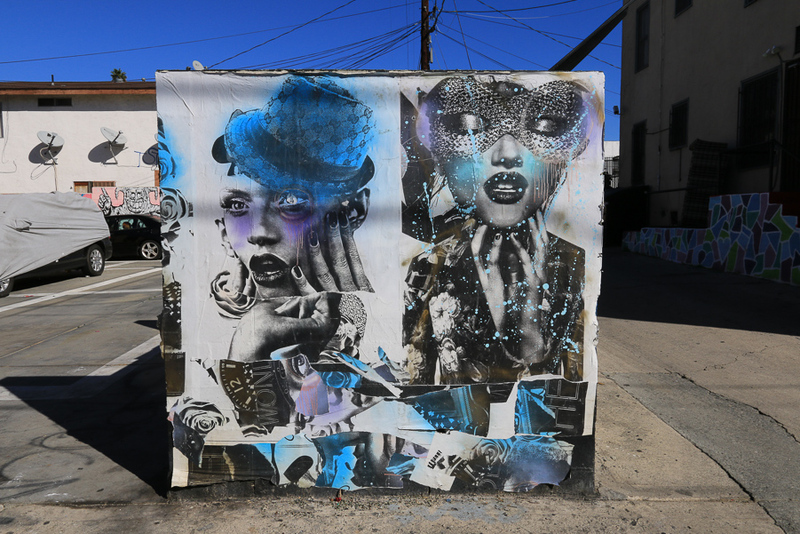 January 23, 2019 - We headed into Los Angeles today, specifically historic Filipinotown, to see the Gabba Gallery Alley Project. 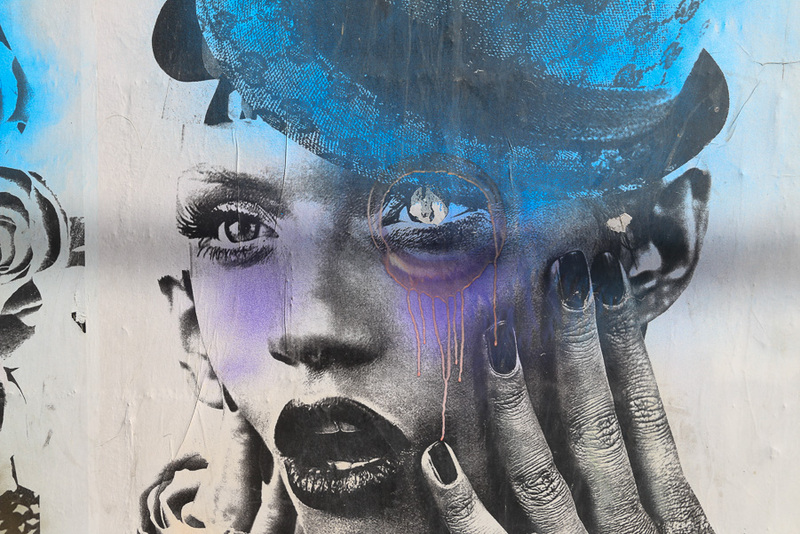 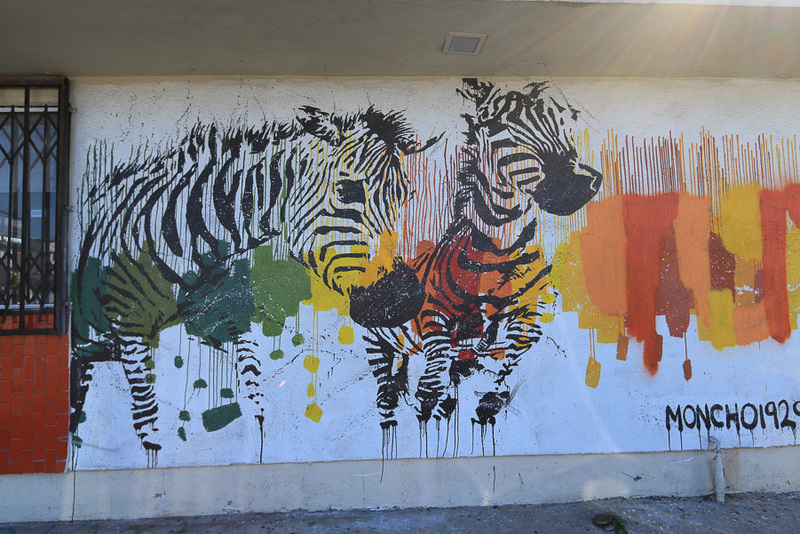 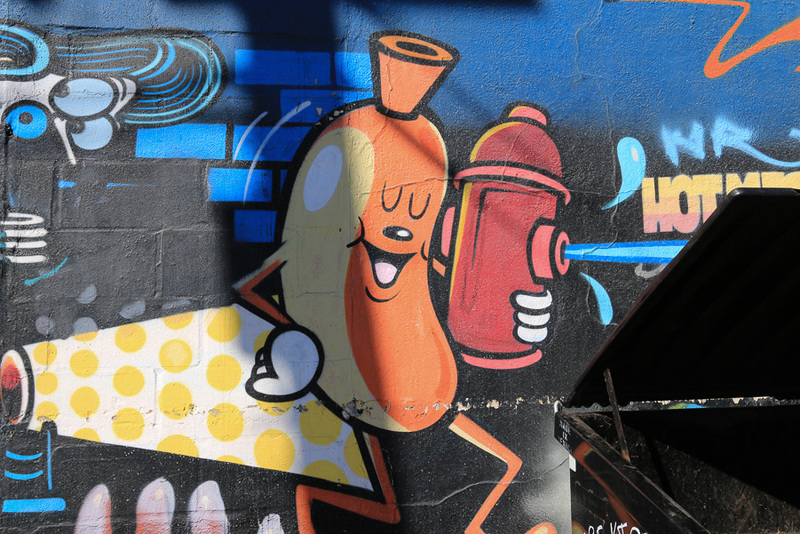 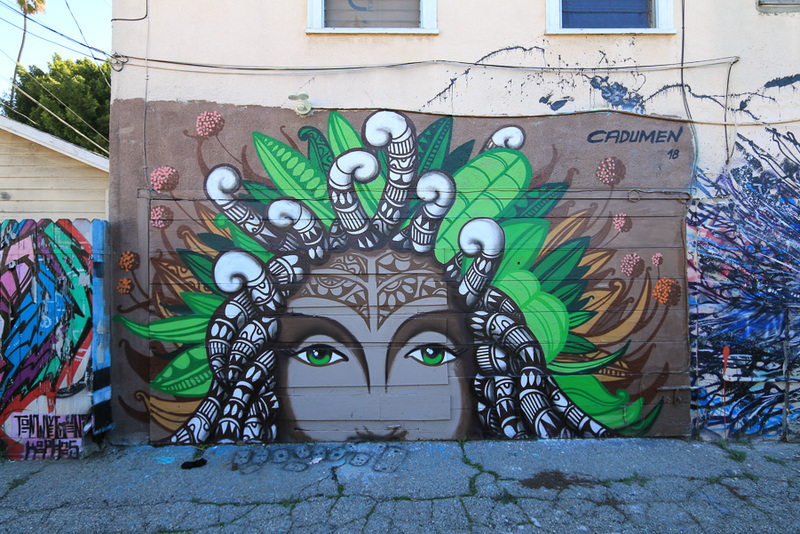 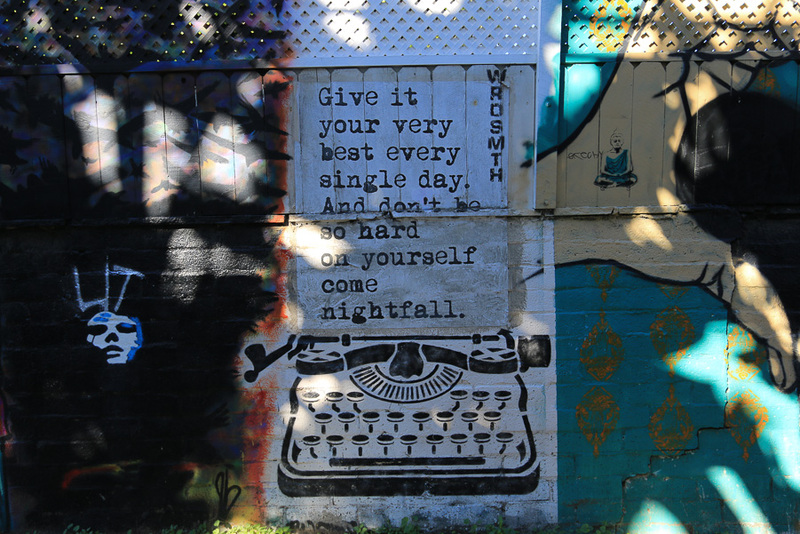 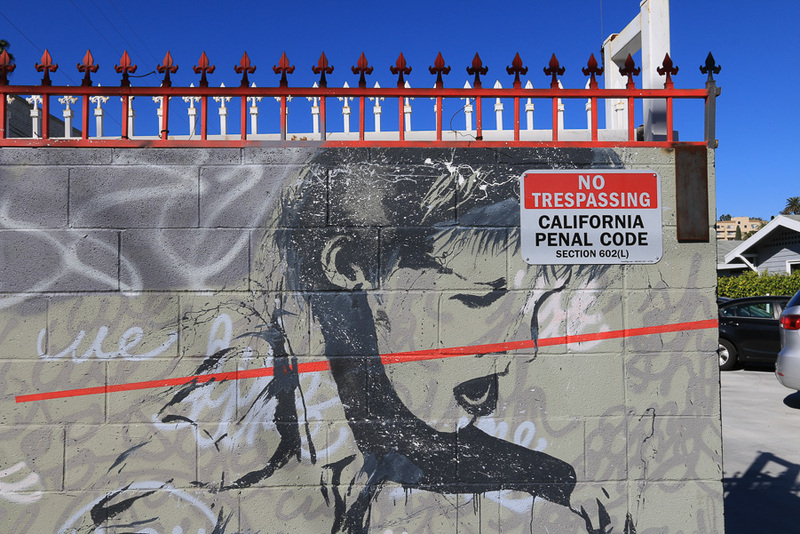 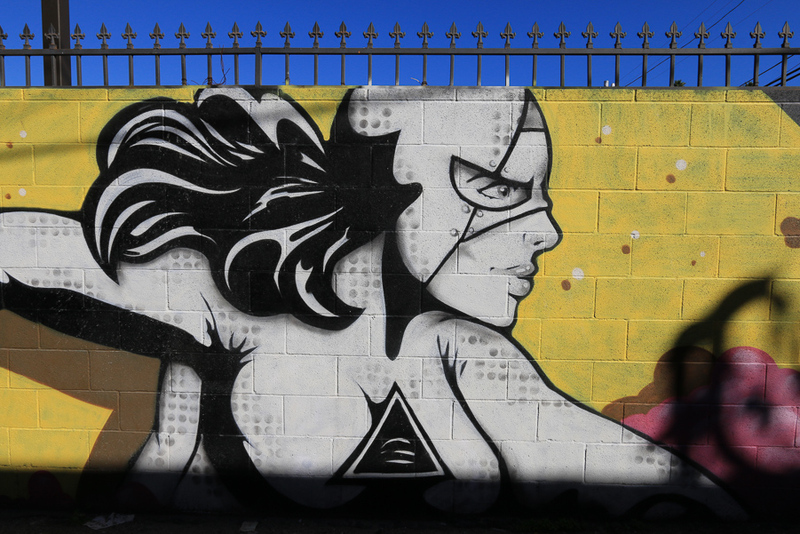 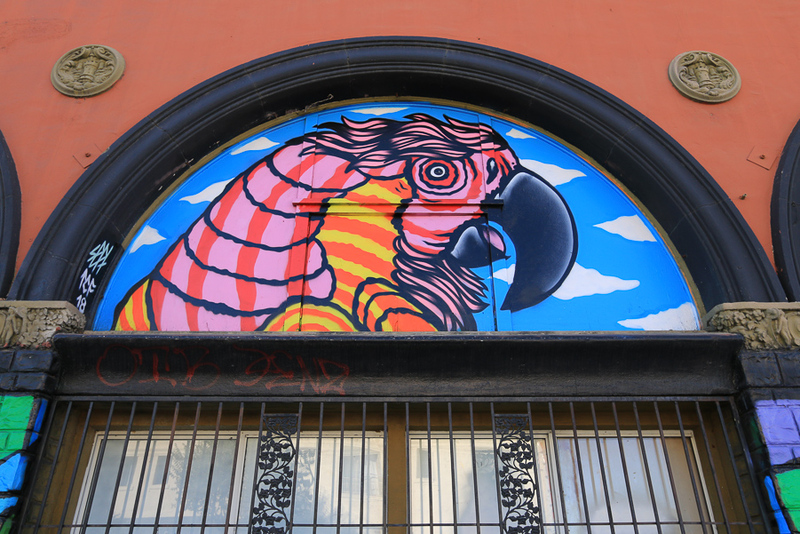 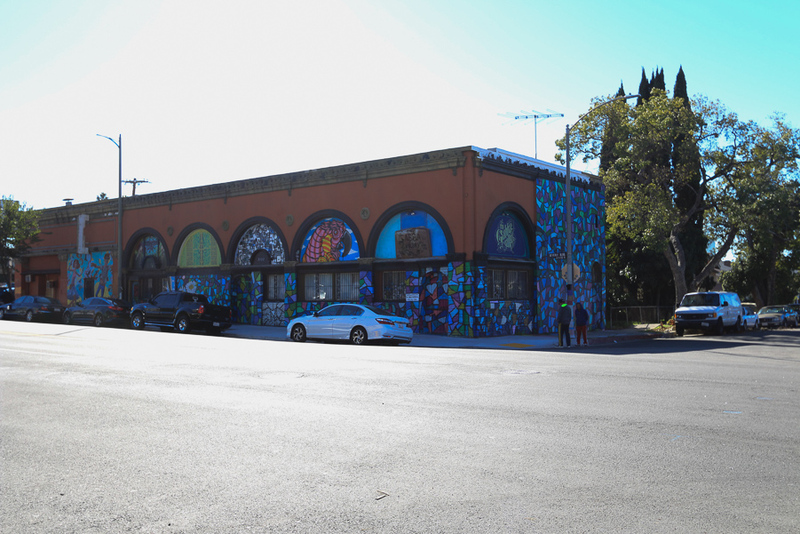 The Gabba Alley Project began in 2014 when gallery owner Jason Ostro, dismayed by the prevalence of graffiti and trash in the neighborhood, decided to take action. 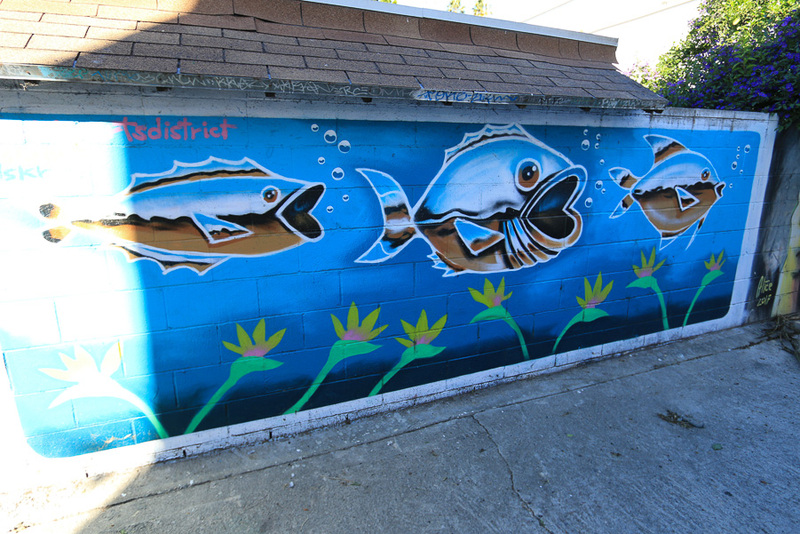 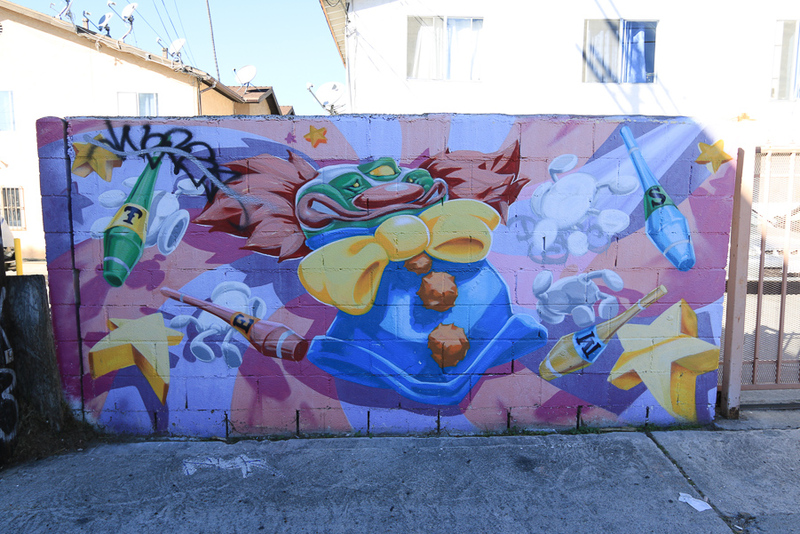 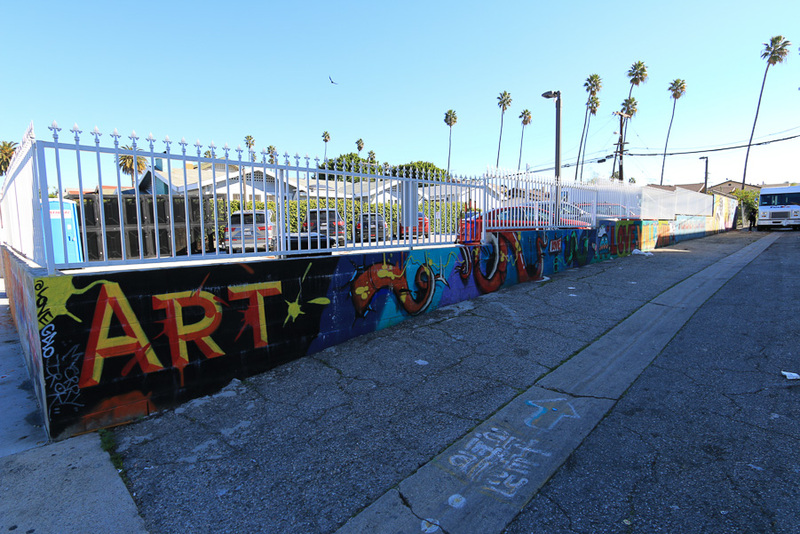 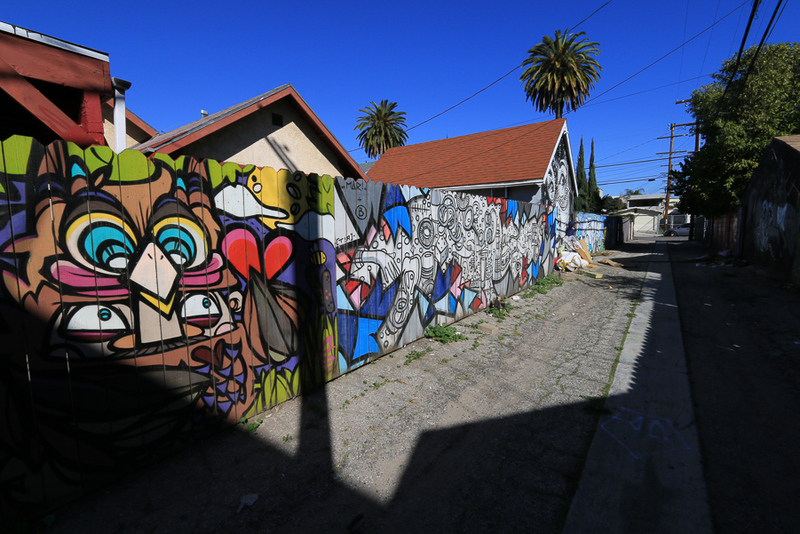 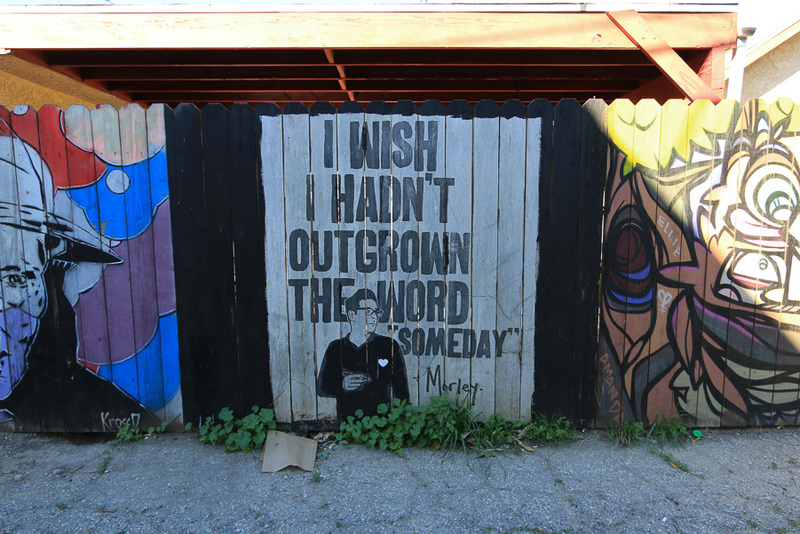 He had a vision of turning “blight to bright” by decorating local alleys with colorful artwork. 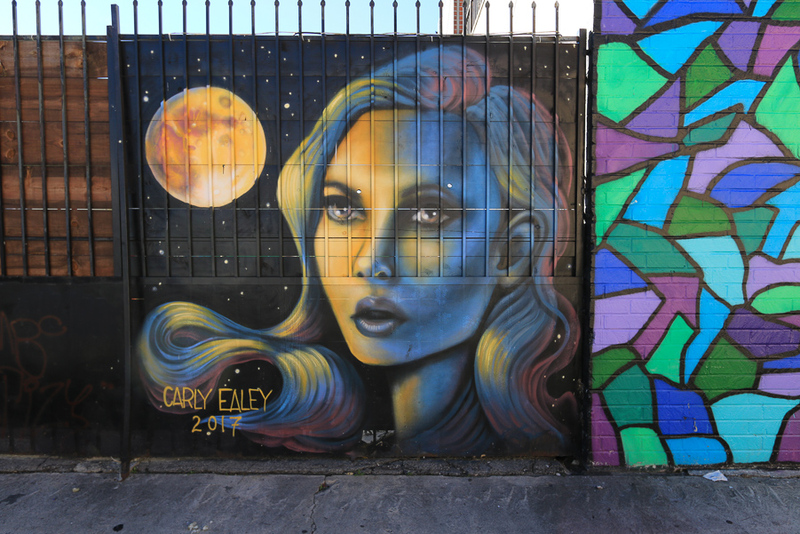 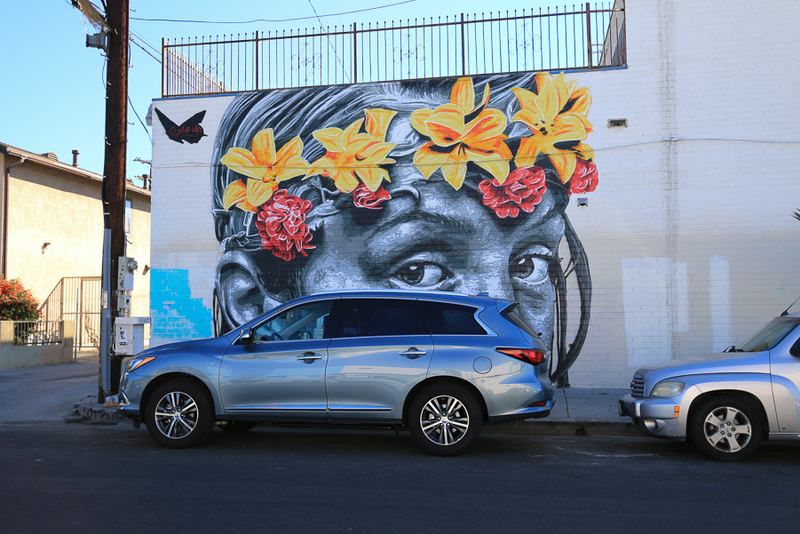 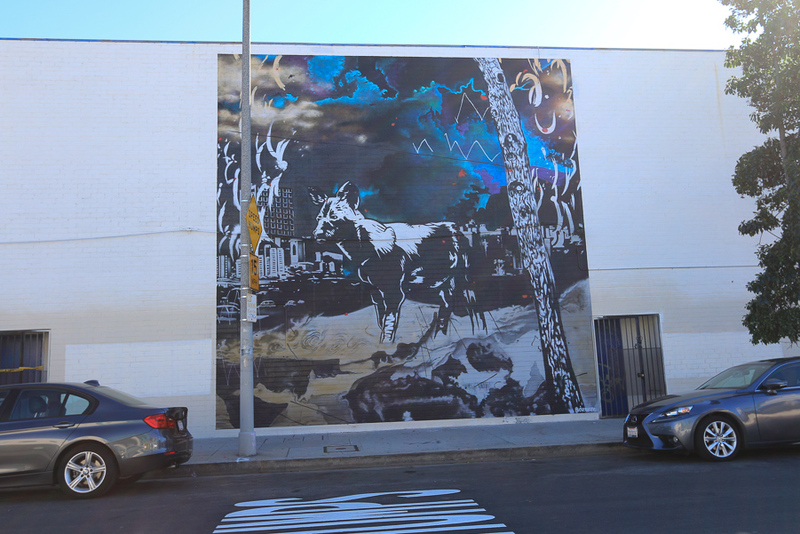 Since then the Gabba Alley Project has brightened the city with over 110 murals by more than 85 local and international artists. 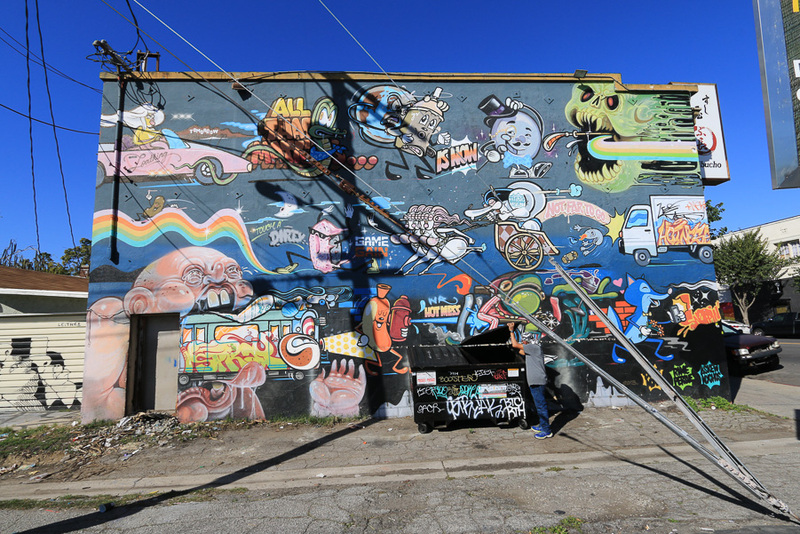 Ostro gets permission from homeowners and businesses and assigns each wall to a volunteer muralist armed with donated paint. 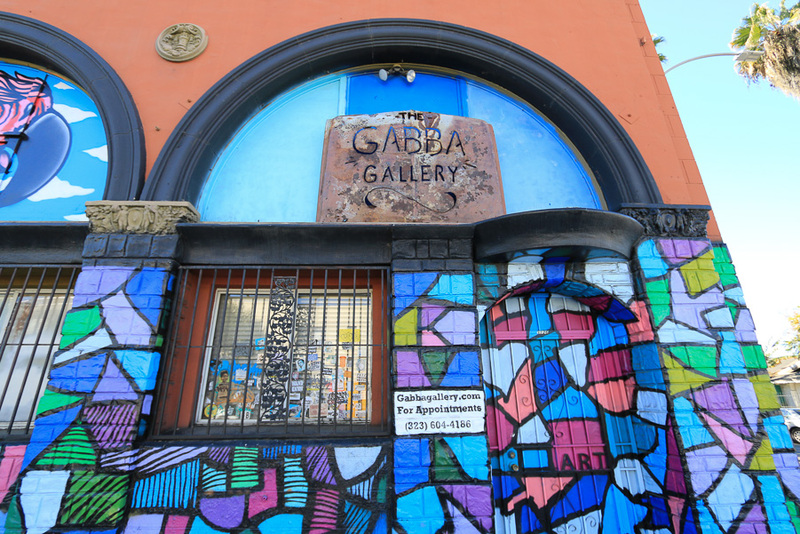 The Gabba Gallery was closed, but, it didn't matter since we were there to see the murals. 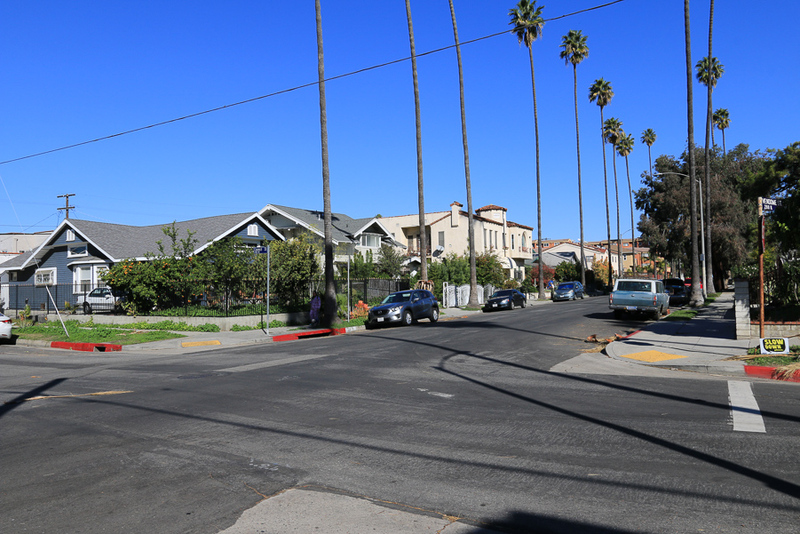 This is what the neighborhood looks like from the street. 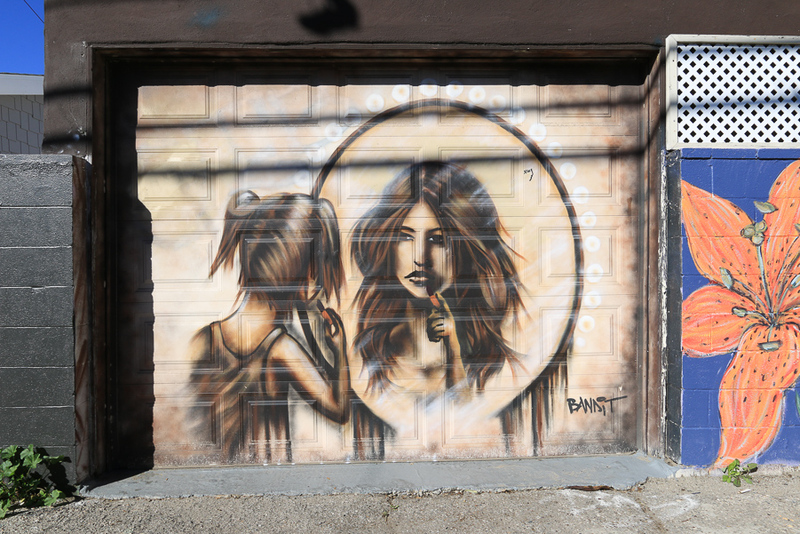 We were cautious when we walked through the alleys, but the truth is, we only saw one kind of scary looking homeless person. 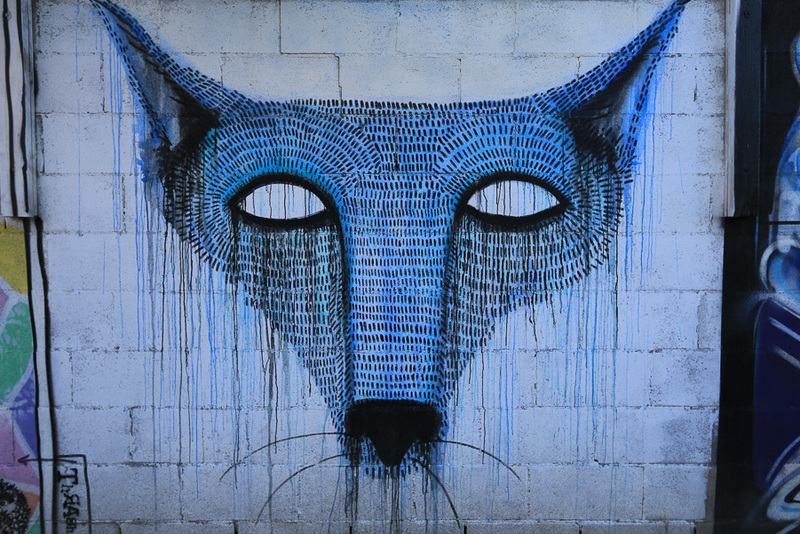 This one below has a Banksy look to it. 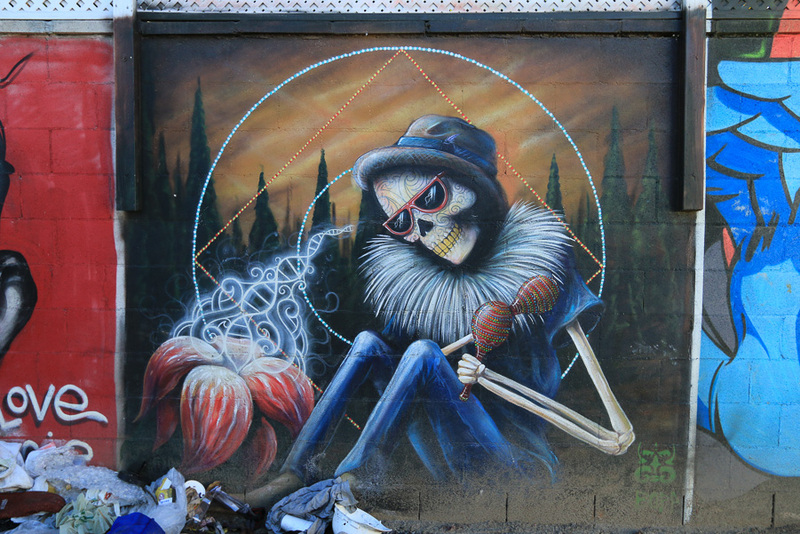 Considering most of these artists are teenagers or twenty-somethings, and they're armed with only spray paint and a few paint brushes, the work is really incredible. 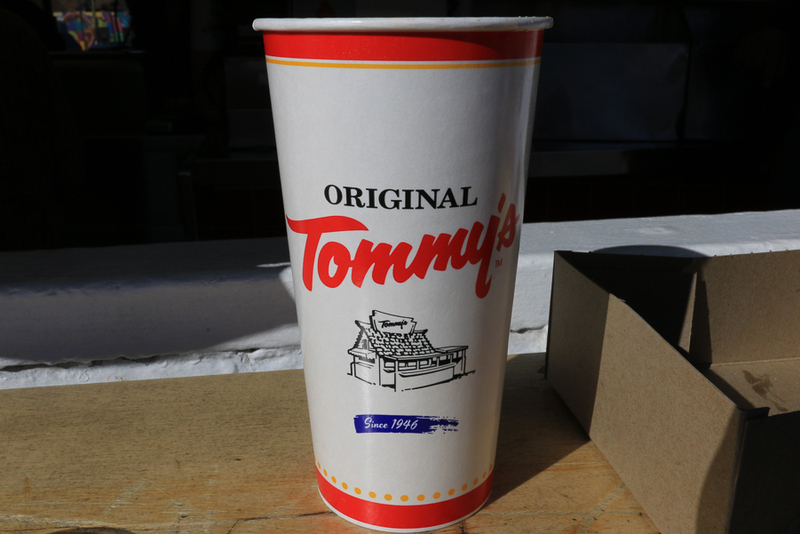 Before touring the Alley Project we had lunch at Tommy’s Original World Famous Hamburgers. 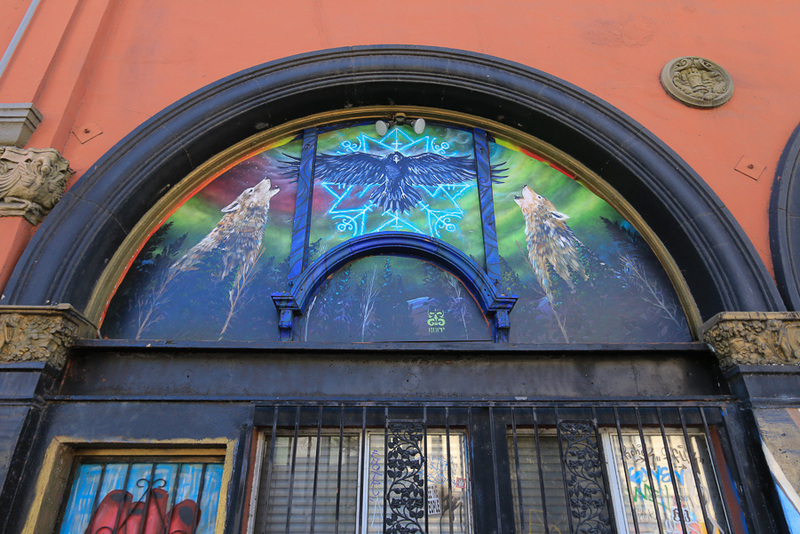 We didn't have to worry about what time we would arrive there, since it never closes. 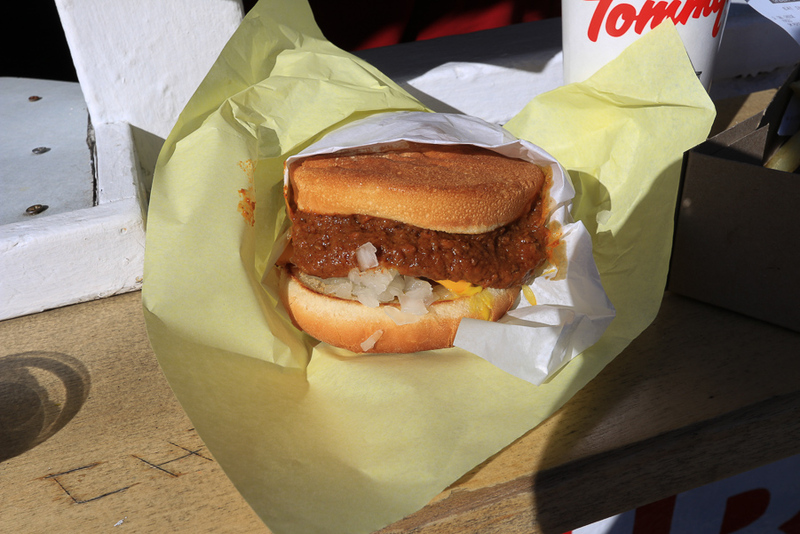 We both had their "double chili cheese hamburger" and they were delicious. 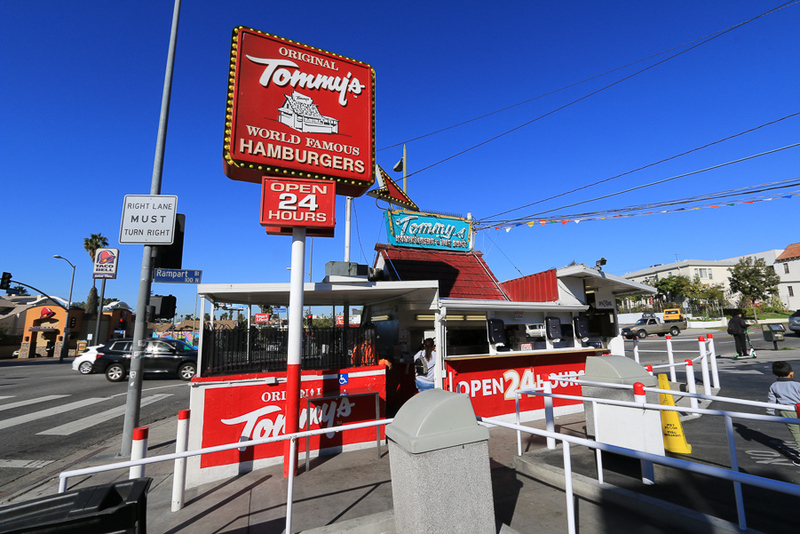 Their fries are great as well.